The image will not drop its quality and originality while applying special effects on that. Figure out some of the image enhancement techniques that will improve the quality of the image with the footprint of editing. Photoshop has the tendency to create HDR photography without taking a number of photographs at different exposure levels. How is it possible? Just figure out it. 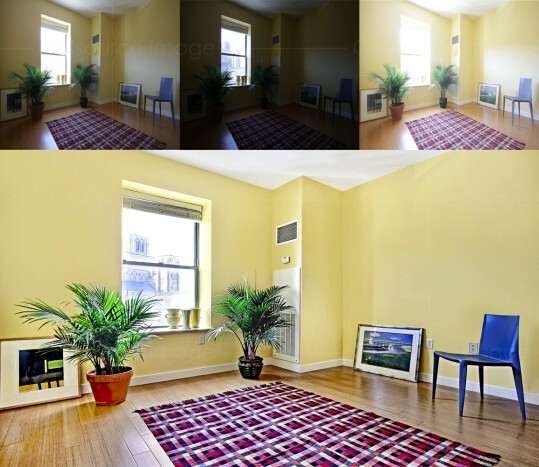 In this High Dynamic Range photography of image enhancement concept, there is no need to shoot in RAW or multiple photos. That is no need to take in multiple exposure levels just one JPEG file is enough. Get the HDR effect instantly by the advanced features of Adobe Photoshop. Duplicate the layer and go to shadow and highlights and make the adjustment as shadow 50%, tonal width 45%, radius 41px, highlight amount 83%, tonal width 76%, radius 120px. To make the picture color strong set up the layer blending to color Dodge. Set the layer blending to Linear Burn, change the foreground color to black and select the layer mask icon in the layer palette. Go with the Gaussian blur option to filter the unwanted noise. And colorize the picture in the way you wish. We may now create HDR photographs in a quite easy way that will bring cool HDR effects to your images. Some other technique also there to enhance your images as more eye-popping. Enhance the composition by making some adjustments on the image like resizing the image by cropping, rotating, etcetera. If you want to crop out the particular area or person, just go ahead with the cropping option. Want to rotate the image just click the transform option and proceed. This step is optional because if it needs just go through it or else leave it as such. It is the process of creating the color print in the different chemical rather than the traditional one. C-41 and E-6 are the chemical combinations used in developing color negative films. On adjusting the contrast, brightness, hue, saturation, curves and levels in Adobe Photoshop, you may attain a perfect cross processing effect. Lomo photography is the process of capturing photos using the Lomo camera. This type of photography is considered as the art movement. Outsource Image the world class Image Editing Service Provider provides Image Editing Services that will enhance your images in extraordinary ways. Outsource Image delivers a wide range of Image Enhancement Services. On enhancing the image, digitally you may get the charming look to your photographs.